Today let’s look at some more Paleo tricks for your favorite foods. If you missed Part 1, you can find Paleo Tricks for Your Favorite Foods here. I’m going to skip cauliflower since I’ve already done a few posts about substituting cauliflower into your recipes. I’m also going to skip spiralizing since I talk about that here. If you’re not sure about using lettuce wraps for your hamburgers, feel free to substitute Portobello mushrooms. They’re large and meaty. And they hold everything together very well. Stuffed mushrooms are also a wonderful appetizer or small plates dish. You can put together a wide variety of flavor profiles like lamb, mint, and feta or sausage with spinach. Here’s a great video for spinach stuffed mushrooms. 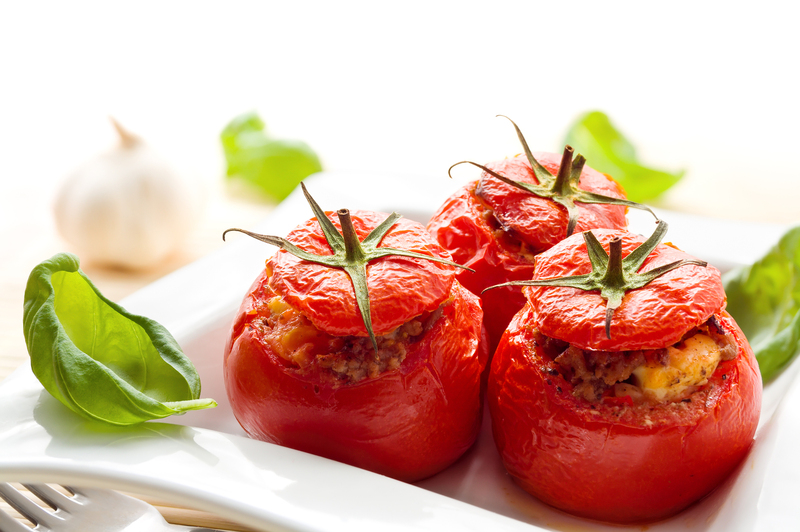 Tomatoes are another great way to serve things hot or cold. You could make a tuna, shrimp or crab salad and serve them in a hollowed out tomato. Or you could try this Paleo lamb in a tomato recipe.